Everything you need to teach Writer's or Author's Craft. 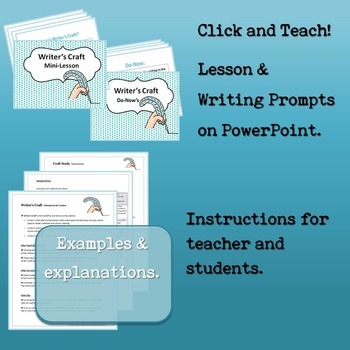 Over 30 pages of slides & activities. Writer’s Craft is the art of writing. Studying the writing of good writers makes students good writers. Looking closely at the artistic choices writers make helps students to become even better writers. 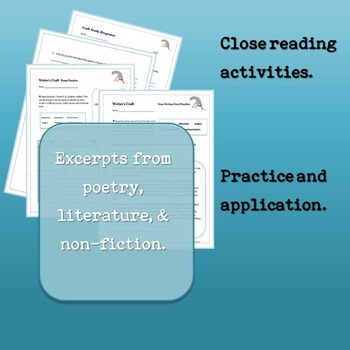 Observing writer’s craft also helps students to become better readers. Understanding writer’s craft can help readers to understand a writer’s purpose and voice. 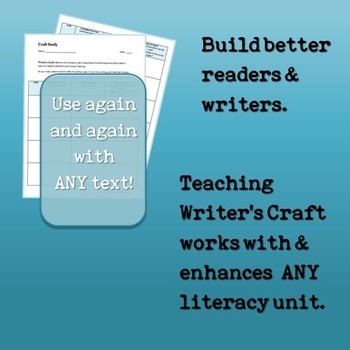 Studying Writer's Craft will help make your students better readers and writers today! Follow Me and find out first about sales, new products, and new freebies! Just click the green “Follow Me” star under my store name on the upper right of this page or from the Language Arts by Lauren Store. 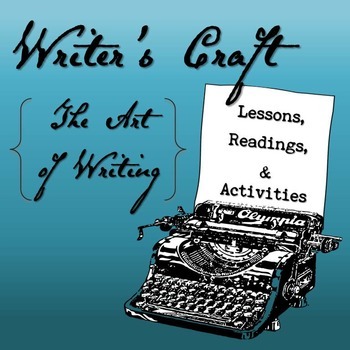 Writer's Craft Introductory Unit created by Lauren Colletti is licensed under a Creative Commons Attribution-NonCommercial-NoDerivatives 4.0 International License.